From November 23 to 24, 2018, Li Dongcai, President of Korea ECOPRO and his party, five persons in all, made an investigation to GEM (Jingmen) Circulation Industrial Park. Prof. Xu Kaihua, Party Secretary and Board Chairman of GEM Co., Ltd and Wang Min, Deputy General Manager of the group received Li Dongcai and his party warmly, and accompanied the distinguished guests of Korean part to visit and investigate the front-line production workshops and hold a talk for cooperation of projects, and Pang Hua and Wu Guangyuan, Deputy General Managers of the group, Yu Bingzhe, Quality Supervisor of the group, persons in charge of related departments of Jingmen Park and relevant personnel of the group for battery raw materials and those of overseas market center for battery materials attended the talk. Accompanied by Mr. Xu Kaihua, Mr. Li Dongcai and his party visited the whole-process production line in GEM (Jingmen) Circulation Industrial Park from raw material to manufacture including raw material pre-treatment and pressure leaching system, ternary raw material supply system, three waste control center, high nickle ternary precursor NCA&NCM manufacture center, ternary precursor purification workshop and cobalt sulfate crystal and superfine cobalt powder production lines as well as the workshop site of the joint-venture factory of the parties. After the visit, Mr. Xu Kaihua and Mr. Li Dongcai held a talk. 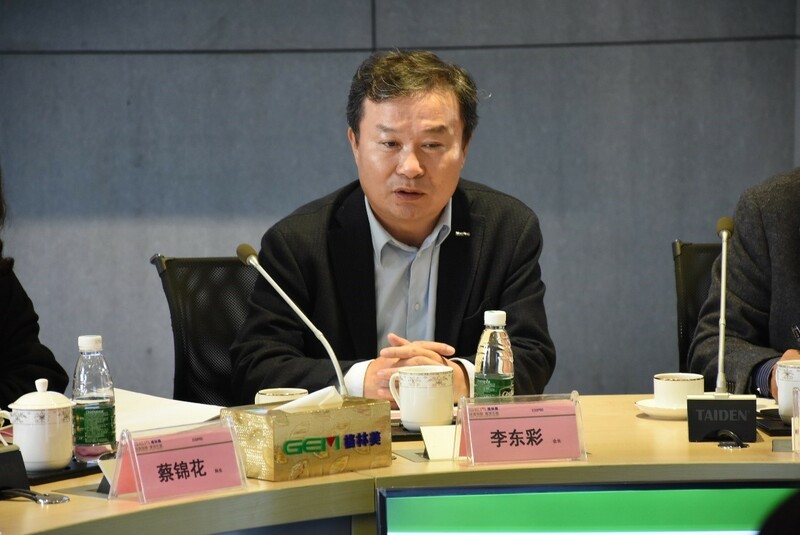 Mr. Xu introduced the nickle resource and precursor guarantee system built by the joint investment of GEM and Tsingshan in details, to which Mr. Li and his party listened carefully, and showed their admiration for the strategic layout of GEM in new energy industry. According to Mr. Li, GEM, as a strategic partner of ECOPRO, had made outstanding achievement in their cooperation with each other, their reliability is augmented, and he hoped that ECOPRO would conduct in-depth cooperation with GEM in expanded production of precursors and cobalt and nickle products. Mr. Xu showed his thanks to ECOPRO for its help in the development of precursors of GEM in the past and for the sincere cooperation and friendship on the part of ECOPRO and Mr. Li, and Mr. Xu highly recognized the cooperative intent of ECOPRO in the future. Mr. Xu firmly believed that GEM was able to guarantee ECOPRO's developing its raw material system in Korea in terms of raw material supply system, technologies and processes, equipment, talent exchange and training for the system, and would continue investing on the cooperation projects of the parties in Korea as per the intent of ECOPRO, and endeavor to improve the core competitiveness of ECOPRO. Through this exchange, the parties enhanced their mutual trust, consolidated the foundation for their strategic cooperation, determined the strategic cooperation objective of the parties in the industrial chain of raw material supply system, manufacture of precursor and manufacture of ternary materials, and they would cooperate closely with their respective advantages and combine various resources to build a high nickel ternary material whole industrial chain composed of raw materials, precursor and ternary material, and improve the core positions of ECOPRO's ternary materials and GEM's ternary precursors in global scope.